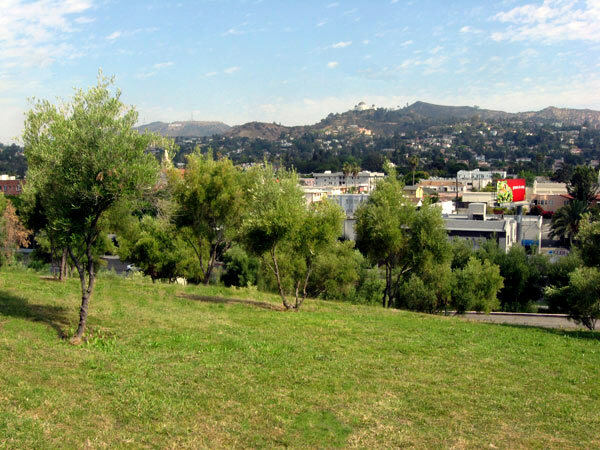 In 1919 oil heiress Aline Barnsdall purchased an 36-acre tract atop Olive Hill in East Hollywood, with sweeping vistas of the city. 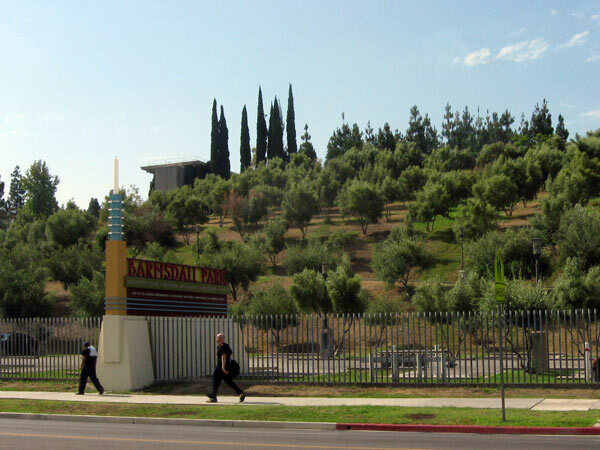 The following year, she commissioned Frank Lloyd Wright to design a residential complex there, with a site plan based on the gridded spacing of the existing olive grove’s 1225 trees. 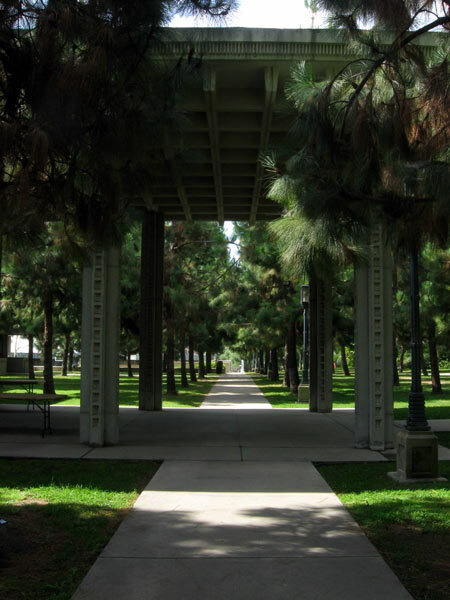 Hollyhock House, the primary residence, was built on the north slope, fronted by a small pool and set against a pine grove and orthogonal rows of eucalyptus. A ring road circumscribes the house and its ancillary structures, including the garage and pergola-style animal cages set on a north-south axis. 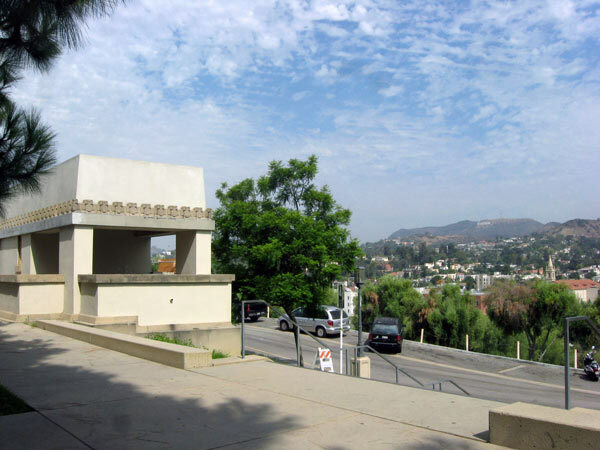 Barnsdall also commissioned plans for a theater (never built), cinema, smaller residential buildings, and commercial shops. 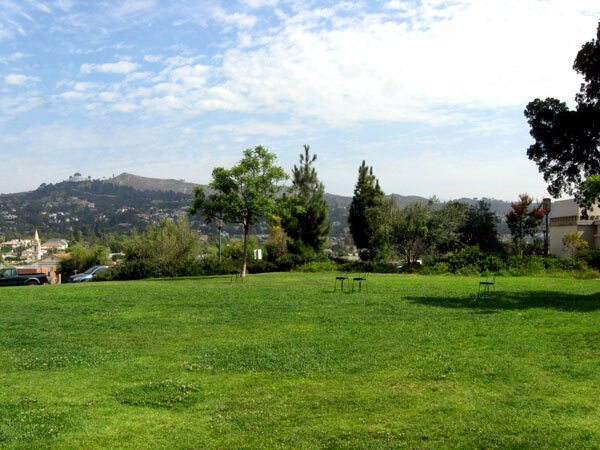 In 1923 Lloyd Wright (Frank Lloyd Wright’s son), Rudolph Schindler, and Richard Neutra created a bowl-shaped terrace which contains a pergola and wading pool abutting the house, a greensward, and a semi-circular patio with a fountain and bench. Throughout the complex, landscape elements – including constructed water courses – are integrated with the architecture. 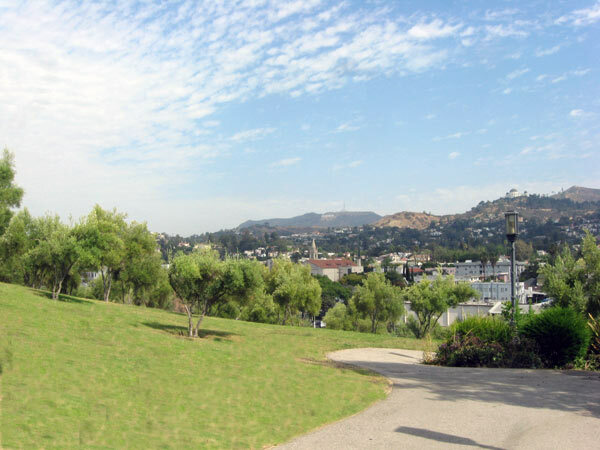 Barnsdall gave the property to the City of Los Angeles Recreation and Parks Department in 1927 with the intent that it be used for arts education and engagement. 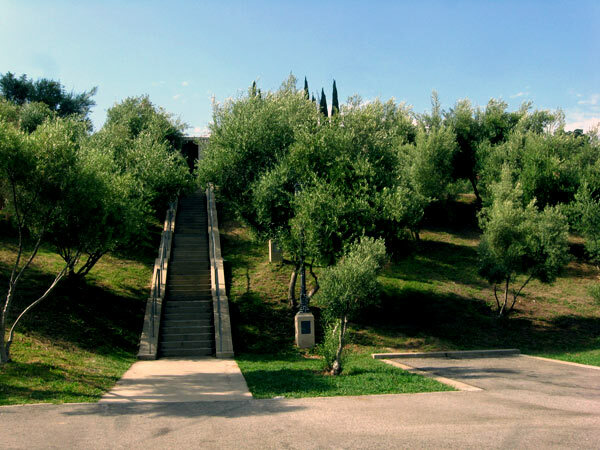 In 1995 Peter Walker William Johnson and Partners completed a master plan which incorporated detailed historic research (including unbuilt elements of Wright’s plan), restored and renovated parts of the park, and extended the olive grove to adjacent parcels. 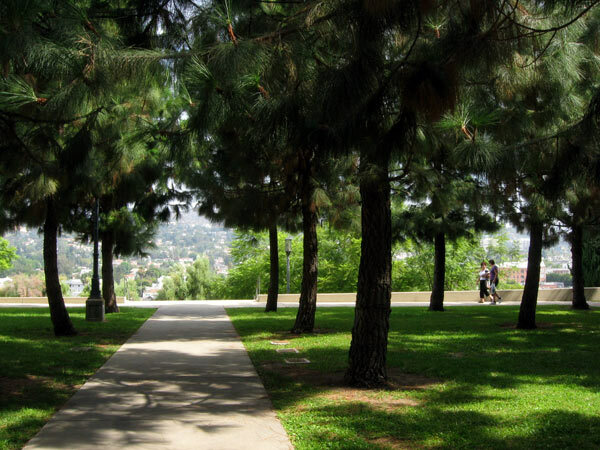 Now 11.5 acres, Barnsdall Art Park was designated a National Historic Landmark in 2007.